I shared this story about my husbands illness about a year ago. I am now adding to it an update on his condition and our “waiting game”. At a recent visit the doctor referred to Bob as his “poster child”. He was surprisingly and unexpectedly pleased with the results of his treatment. Bob has been taking a Chemo drug called Vidaza for two years now. It is an injection administered in his belly seven days in a row and then repeated every 21 days. It took many months, but finally the drug began working by bringing up his hemoglobin level and keeping it stable. He has gone from 4 transfusions per week in the beginning to not needing any. God has truly heard the many prayers of family and friends and answered “yes”. Chemotherapy is never fun, but it does save lives and so we keep plugging along. Don’t get me wrong. He is still very ill and there are days when he barely can find the energy to move. He is on oxygen 24 hours a day. His diabetes has worsened and he repeatedly has to deal with Congestive Heart failure. His life will more than likely never get any better, but he’s not ready to give up yet. He still enjoys life. He loves having his grandchildren around him. He loves to harass them by asking them for money. He has loving nicknames for each of them and they in turn lovingly refer to him as “grumpy gramps”. God is with us and we are blessed. We are still finding ourselves in the ER periodically, but I am learning to cope. I have learned to take a pillow and wear comfortable, warm clothes. My Kindle Fire is my best friend while I wait. Rarely do they ever send him home from the ER without admitting him so I have come to realize that once he is stable, it is okay for me to go home and rest. I am no good to him if I am exhausted and irritable. God is good. We continue to wait on His timing knowing He is with us and has a plan for each of us. We appreciate your continued prayers. Bob would welcome visits from friends and family members. Give him a call some time or stop over to say hi. This Thanksgiving (2014) I am thankful to God for my husband. He is a good man. He has been a good Dad to our children and a good grandpa. For the last 43 years he has always put me and the children before his own needs. Now it is my turn to take care of him. I thank God also that He (God) considers us worthy of His loving discipline and I know He has a plan for our lives. We rejoice in His goodness. At the time of this writing I was reading a book called; Seven Spiritual Gifts of waiting written by Holly W. Whitcomb. The author led me to realize that “waiting” can be beneficial and good for the soul. It gives people time to listen and observe what is happening around them and to plan for what may be coming in the future. It can sometimes be an opportunity to meet new people and a time to reflect on blessings received. It is always a lesson in patience and it teaches us to live in the moment. Waiting is a part of life here on earth. There is a saying; everything good is worth waiting for. A young mother waits 9 months for her unborn child to grow and be strong enough to live outside the womb. It’s a long wait, but the gift (a precious child to love) is well worth waiting for. We wait in line almost every day for some reason or other. It’s the way of life. God created us to live in an orderly world. When everyone tries to be first nothing gets accomplished, but when we form a line and wait our turn each person gets served in his own time. Often while waiting in a long line we find ourselves in conversation with the person/persons waiting in front of us or behind us and the time passes more quickly. Have you ever been the family member or friend waiting with a loved one in the Emergency Room? I have spent many hours over the past 10 years or so waiting in the E.R. It began in 2003 when my mother became ill. She had no one else close by but me so when she called me on Easter Sunday in 2003 and said she couldn’t walk because she had pain in her foot I took her to the hospital. We spent about four or five hours waiting for x-ray results which determined she had a compression fracture. The Easter dinner with family which had been planned went by the wayside. I waited in the E.R. with her many times over the years following that incident due to her failing health. It was not fun. The chairs are hard and straight backed. The wait is long. At times I would wonder if we were forgotten. 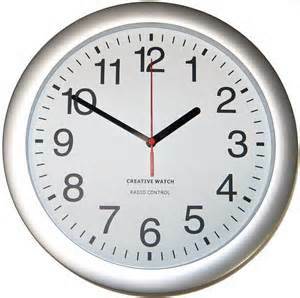 The clock would move slowly past each hour. I would long for my comfortable bed waiting for me at home, but she needed me so I stayed. I learned the names of the doctors and nurses in the E.R. At times I wondered if they groaned inwardly when they saw us come in, but if they did, they never let on. My waiting with mom in the E.R. ended in February 2007 when God, in His own good time, took her home to heaven. In the past couple of years I have found myself waiting in the E.R. again. This time I wait with my husband who is experiencing many health problems. He has a mechanical aortic valve in his heart which oddly enough, seems to be the least of his worries right now, but it does sometimes complicate things. He is severely diabetic. He has high blood pressure and hardening of the arteries. He also suffers from neuropathy in his feet which causes him much pain and discomfort. As if that weren’t enough to deal with he now has been diagnosed with a blood disease called Myelodysplastic Syndrome. It is a disease which there is no cure for. His bone marrow no longer makes healthy red blood cells. At the time of this writing he was requiring 4 blood transfusions a week. If his blood dropped on the weekend or a holiday – off we went to the E.R. Each visit to the E.R. is the same story. He is asked why he has come. His vitals are checked and recorded. He is then put into a room where we wait to see the doctor on duty. Blood samples are drawn to determine his hemoglobin level and a type and cross must be done to determine his blood type. We wait for the blood work to come back. The E.R. Dr. must get in touch with the hematologist to advise that his/her patient is in the hospital and then wait for him/her to call back with instructions. At this point in time we have usually been waiting for about two hours. It will take another two hours for each unit of blood to be infused and he is always issued 2 units, so the total infusion time most often ends up being about 5 hours. The emergency room of the hospital is not only uncomfortable for waiting family members, but also for the patient. Patients are placed on narrow cots meant for short term use. Our local hospital does have small televisions in the E.R. rooms to help pass the time for patients and family members, but there is usually so much noise that one can barely hear it. Our last E.R visit began at 7 P.M. and ended at 2 A.M. – a seven hour ordeal. The worst thing about the wait for me as the accompanying family member is the feeling of being alone. That may seem odd to some. You might ask; why do you feel alone? You are with your family member who needs you and you are in a room filled with all kinds of medical people. There are also other patients present with family members who are waiting just like you. This is true, but the sick family member is more than likely dosing in and out of sleep. The doctors and nurses are busy and although I wouldn’t say that they don’t care, they simply don’t have time to sit with people. They have a job to do and people just like me are counting on them to get it done. The author of Seven Spiritual Gifts of Waiting revealed to me the reason for my feeling of loneliness when she stated; when we are waiting for something important in our lives, we tend to seek out others who will understand our restlessness and anxieties. When I wait in the E.R. with my husband, as in the many times in the past when I waited with my mother, I wait alone. I have no one to talk to – no one with me who understands my fears and uncertainties. In my mom’s case, I have two other siblings, but they both lived in California and Mom and I were in Michigan. If the emergency would have been life threatening they would have been on the first flight out, but most of our trips to the E.R were not life threatening and did not require end of life decisions. So, I waited alone. 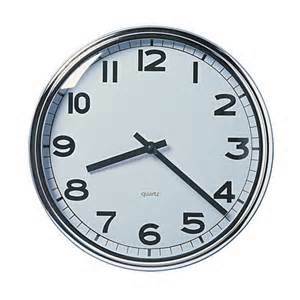 I sat in my straight backed chair and watched the clock as it slowly passed each hour. My husband and I have four adult children, two of which live here in town, but they have families to care for. I cannot in good conscience call them to wait with me at the hospital while their dad gets blood when they have children to get up for school in the morning and responsibilities to be met the next day. They would come in a heartbeat were I to call them, but I choose not to as long as the situation is stable. So I wait. I watch the clock as it passes each new hour. I long for my comfortable bed waiting for me at home. I long for the years when our children were small and my husband was healthy and strong. I didn’t appreciate what a blessing that was at the time. I look at him asleep on his narrow cot and pray that a cure will be found for his disease. I am learning to appreciate the fact that waiting is a gift. It offers me time to prepare for the future. It offers me a time for prayer. I long to feel God’s presence. I know by faith that He is with us. I know He understands what we are going through and I know He has a purpose and a plan for our lives. I think of my husband’s illness and realize that other people have gone through much worse circumstances and not complained. I think of Jesus and the suffering and persecution He endured for me and for all people when He hung on that cross – and He did it by choice and out of love for us. Through faith in Him we need not fear. We know that because of His suffering, death and resurrection the best is yet to come. We are encouraged by the Apostle Paul to forget what is behind us and to strain toward what is ahead; I [we] press on toward the goal to win the prize for which God has called me [us] heavenward in Christ Jesus (Philippians 3:14). I remind myself every day of the blessed hope we have in Him and I pray that God will give me courage and help me to trust in His almighty power and timing. I have once again become familiar with the nurses and the doctors in the E.R. We have more than likely not seen our last visit there. Rather than dreading it I pray that God will help me to see it as the blessing it is. I pray that He will help me to be strong and take heart knowing He has a plan. Who knows but what I might be the person lying on that narrow and uncomfortable cot some day with a loyal and loving family member sitting by my side. And so we continue to wait on the Lord’s timing. He can see the big picture and always knows exactly what we need and when we need it. Jesus has promised; surely I am with you always, to the very end of the age (Matthew 28:20) and His promises never fail. I know by faith that I am never alone. My God is right beside me to guide me and strengthen me and keep me safe. We wait in hope for the Lord. He is our help and our shield. In him our hearts rejoice for we trust in his holy name (Psalm 33:20, 21).